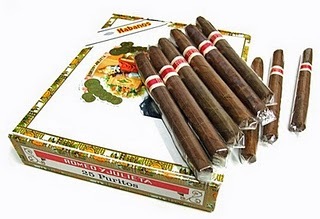 Romeo y Julieta Purito | Old Morris Tobacconist Victoria BC, Fine Cigars, Humidores and Tobacco Merchantile. Pure is right. This pint-size cigarillo is pure smoking pleasure. A woody 27 ring gauge that fits in your pocket and is great for a chilled intermission anywhere you happen to land. Price is as per cigar.